in SA for orders over R1000. Tools4Wood® operates as an online portal offering Woodworking Tools and Accessories to you, our customer. Our mission is to provide the best service, the widest range of tools, at the best possible prices. To ensure we meet these goals, we work very closely with our suppliers to give you access to the full range of their tools. We pride ourselves on having every item of a particular range of tools on our webstore and available to you at good prices. This large range is expanding daily based on our customer feedback. On receiving your order, we place an order for these goods on our suppliers, who deliver these to us within 3 working days. These goods are consolidated, packaged and dispatched immediately on receipt. After dispatch, delivery nationwide takes at most 3 working days. We will advise you when your goods are dispatched with your tracking information. Every day thereafter we track the progress of your delivery and update you on the progress until you have your order in hand. All your goods are insured against loss or damage, and anything that arrives in an unacceptable condition to you will be replaced and sent to you free of charge. We sell a range of “Imported Products” on our webstore which are imported directly from overseas. These products are clearly marked with an “Imported!” label. The delivery time on imported products is 10-20 working days from receipt of your order. These items are imported specifically on an order by order basis. The imported products are priced in South African Rand and include VAT. There are no further charges for ordering imported products. As with standard goods, imported goods are insured against loss or damage, and anything that arrives in an unacceptable condition to you will be replaced and sent to you free of charge as soon as possible. While Tools4Wood® holds a range of stock, we do not hold every item available on the webstore. The levels shown on our webstore are the available quantities at our suppliers. In partnership with our suppliers, we monitor the stock levels of all the products at all the various warehouses around the country. These stock levels are updated on our webstore daily to ensure the most up-to-date information is displayed. A full refund on that item, payable to you immediately. If available, we will offer you an alternative item or a more advanced version of the tool you ordered. This will not cost you anything further. Credit to the value of the item that can be used for discounts on future purchases. Please note that while we carry a range of products at our physical store, we do not carry every item available from our webstore. 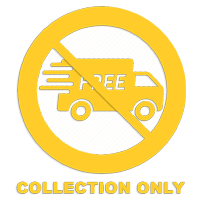 Some industrial machines are marked “Collection Only”. Please note that these products can only be purchased on a colletion basis. They cannot be couriered. If you need further information on this, kindly Contact Us. Welcome to Tools4Wood.co.za. South Africa’s fine online woodworking shop, blog and classifieds. Copyright © 2019 Woodfinish Management CC. All Rights Reserved. C.K Number: 2007/120021/23. VAT: 4820242263. Please fill out the form below and we will call you back.